Musicians from Dal’s Fountain School of Performing Arts and the local community came together last week to perform in Mysterious Barricades, a cross-Canada concert event to raise awareness about suicide. A live performance held Friday evening at the Rebecca Cohn Auditorium was recorded and streamed early Sunday as part of a coast-to-coast musical journey to mark World Suicide Prevention Day. The Halifax concert, organized by Fountain School voice professor Marcia Swanston, was one of 15 performances that spanned 21 continuous hours of music, beginning at sunrise in St. John’s, Newfoundland, and ending at sunset in Victoria, British Columbia. Held in partnership with Mysterious Barricades and the Nova Scotia division of the Canadian Mental Health Association, the Halifax performance showed off the diversity of local musicians and artists. 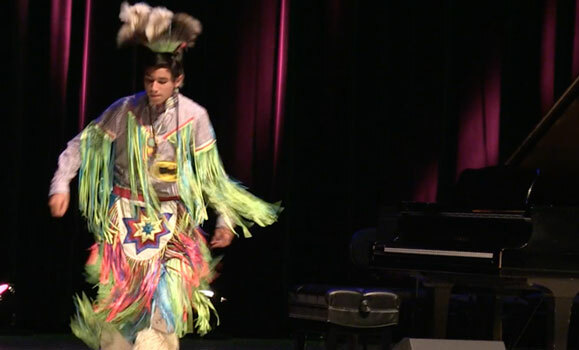 Catherine Martin, a filmmaker, drummer and singer from the Millbrook First Nation, kicked off the show with a performance accompanied by two young First Nations dancers. Pianist Peter Allen, an associate professor in the Fountain School, was happy to have a chance to play for this cause, choosing a piece by 18th-century Austrian composer Joseph Hayden for his performance. This was the second year for Mysterious Barricades, a project started by Canadian opera singer Beth Turnbull, who lost her husband, Chris, to suicide. Turnbull wanted to create an event that could help bring awareness to suicide prevention. After the classical piano of Allen, the only student performer of the night, Lucas Hernandes Nascimento, performed an opera aria. Nascimento studies voice at the Fountain School under the tutelage of Swanston. El Jones, former poet laureate of Halifax, performed an original spoken word poem for the event, titled “Mysterious Barricades.” Jones addressed the issue of mental illness and suicide in Canadian prisons, and called for compassion and resources for those struggling. The evening also featured collaborations between artists. Halifax jazz singer Erin Costelo played her songs along with the Blue Engine String Quartet, comprised of Jennifer Jones, Anne Simons, Alexandra Bates, and Hilary Brown. Ending the night was Fountain School professor Scott Macmillan, a guitarist, composer and conductor. Macmillan was joined by fellow teacher D’Arcy Gray (percussion), as well as the Blue Engine String Quartet. 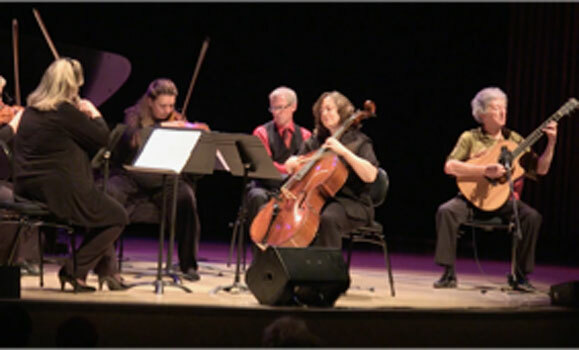 His choices of songs for his performances were inspired by his desire to work with the quartet. “I wanted to work with them, so I pulled out some stuff to fit,” said Macmillan. The final song of the night, performed by Macmillan, Gray and the quartet, was an original by Macmillan called the Gigglebee Jig. Halifax’s performance was broadcasted at 7:30 a.m. on Sunday for World Suicide Prevention Day. The entire musical journey of the Mysterious Barricades concert will be available for listening online until midnight on September 17.